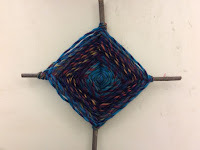 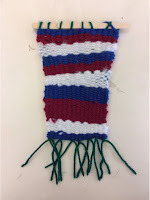 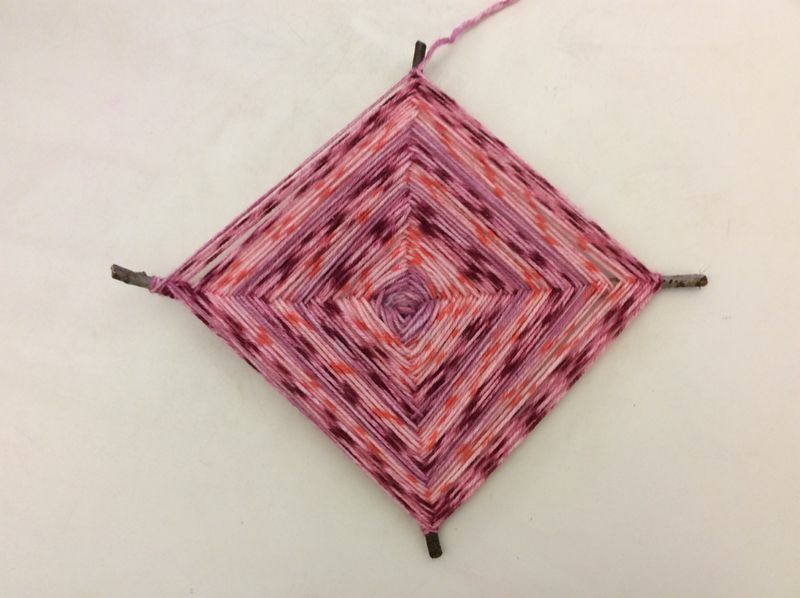 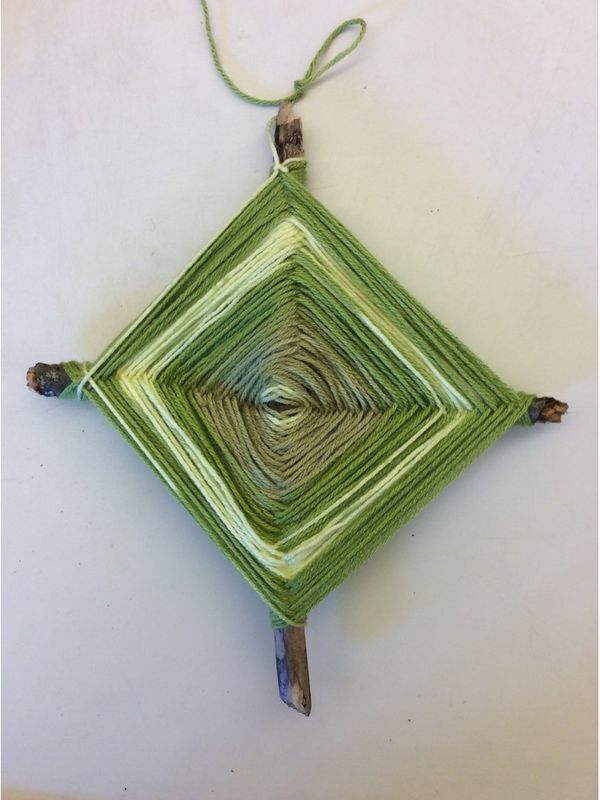 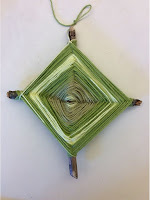 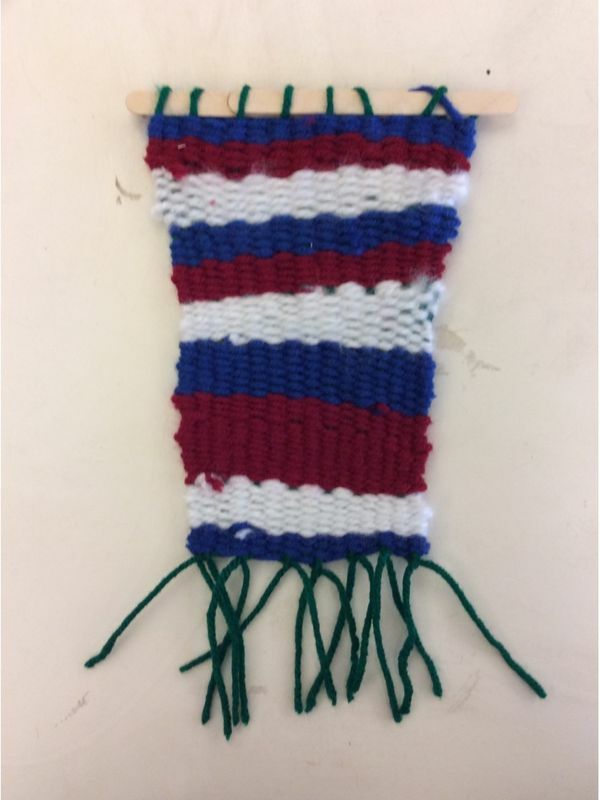 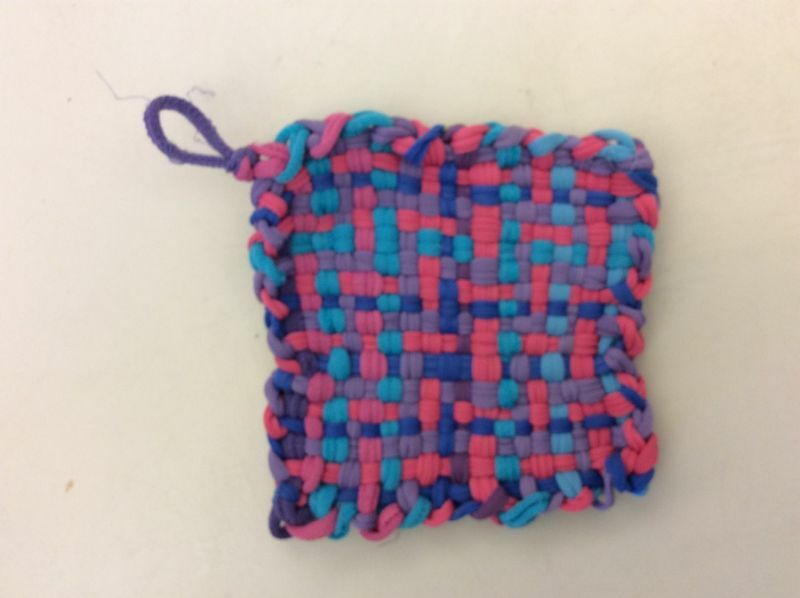 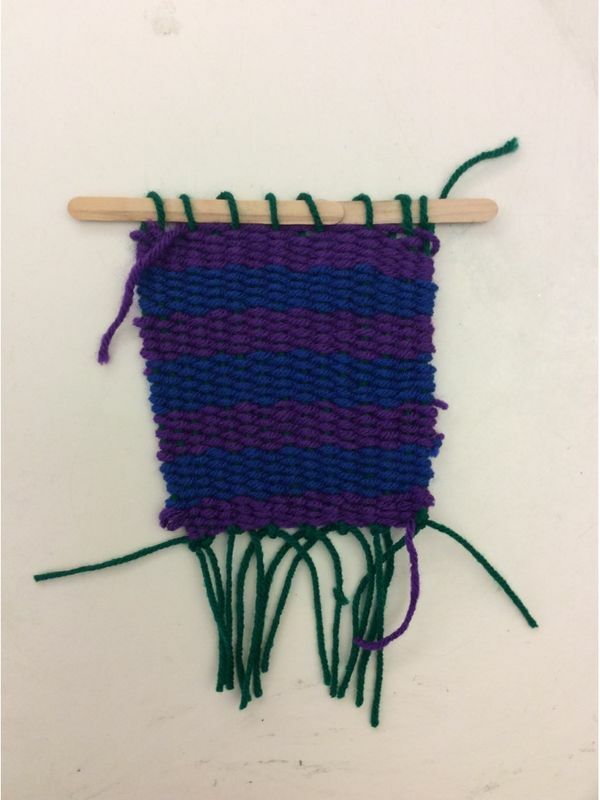 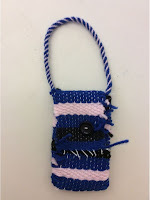 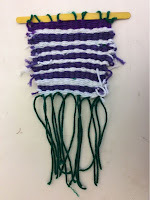 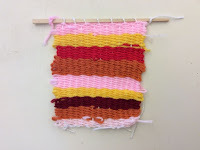 Students at all levels have been focusing on pattern and learning about weaving. 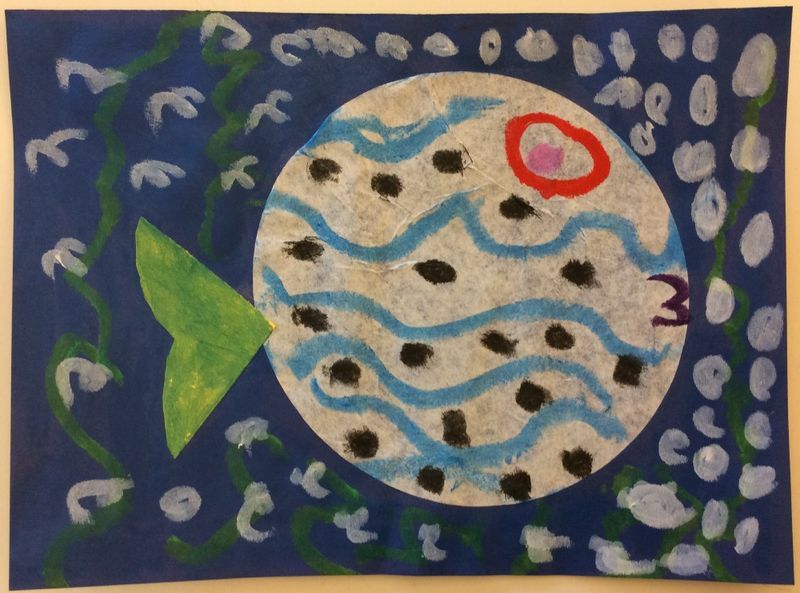 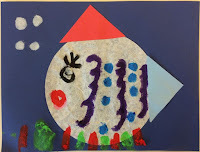 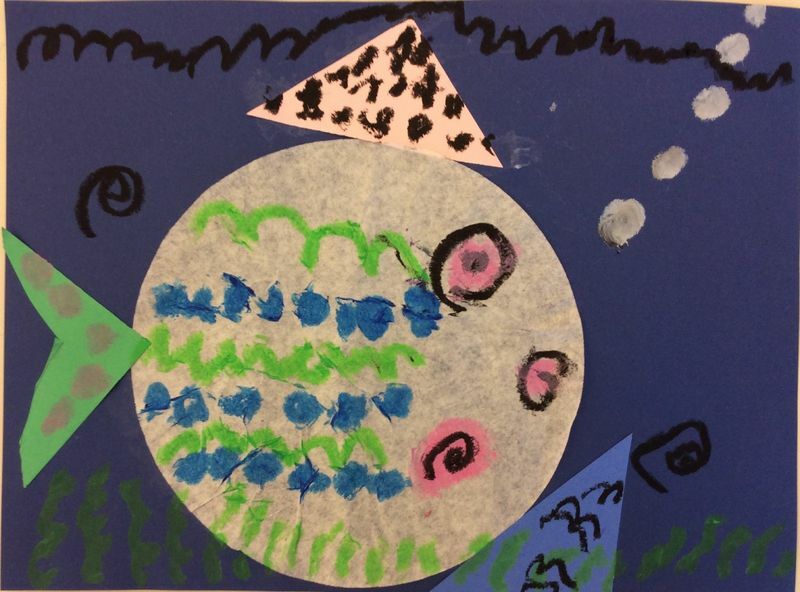 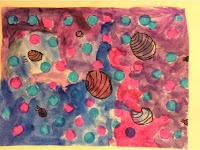 Students read the book Pattern Fish and created fish with patterns of their own. 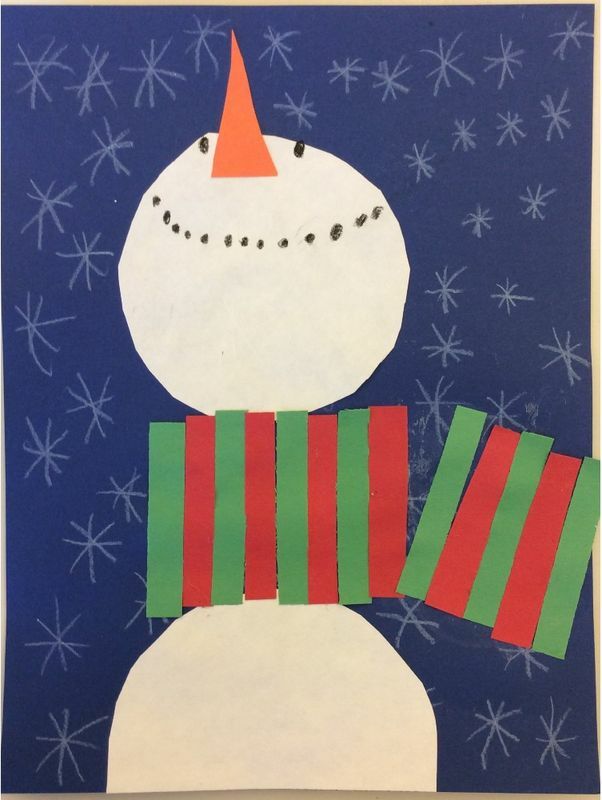 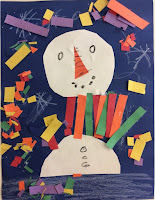 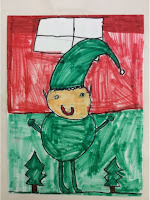 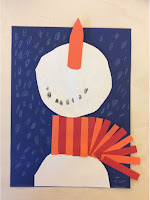 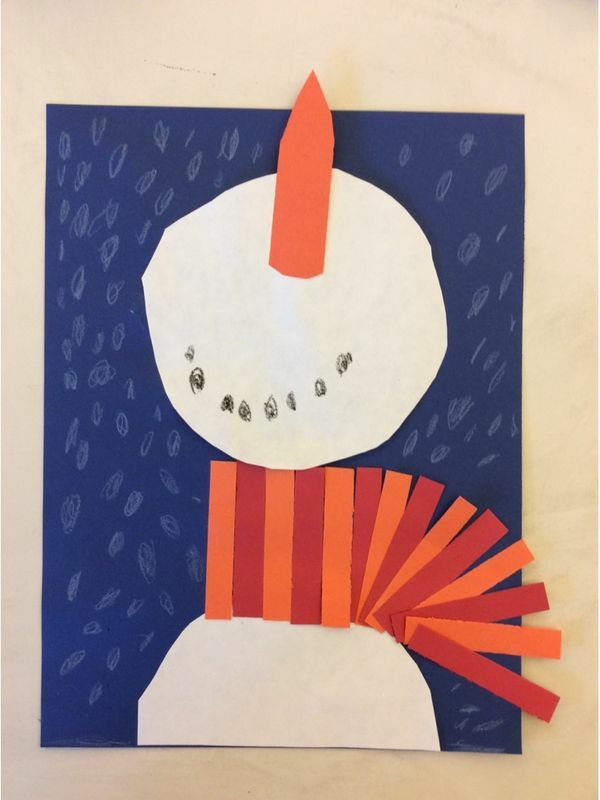 Students read the book Sneezy the Snowman and created snowmen based on the character in the book. 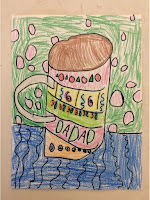 Students listened to "Hot Chocolate" from The Polar Express and created the best cup of hot cocoa they could imagine. 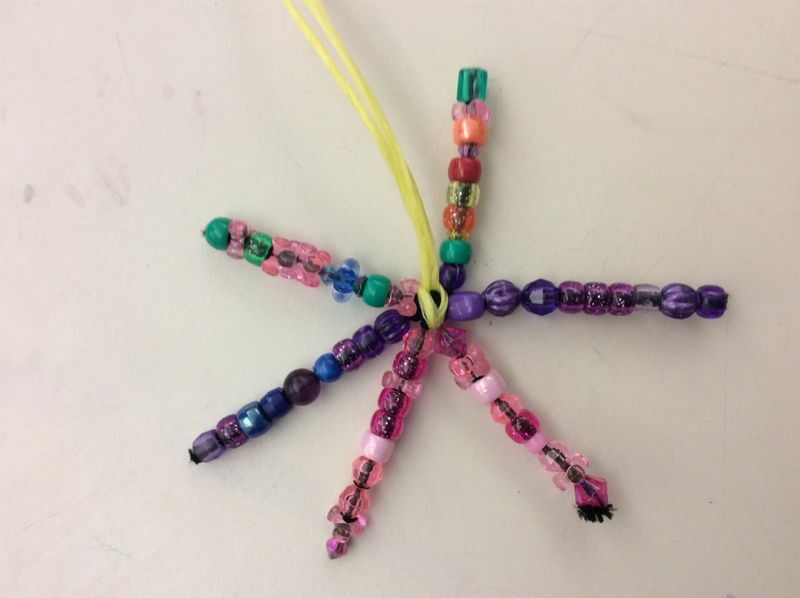 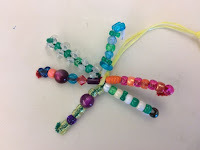 Students started their pattern unit by creating snowflakes out of bead and pipe cleaners. 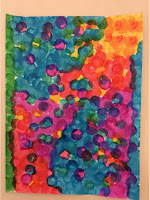 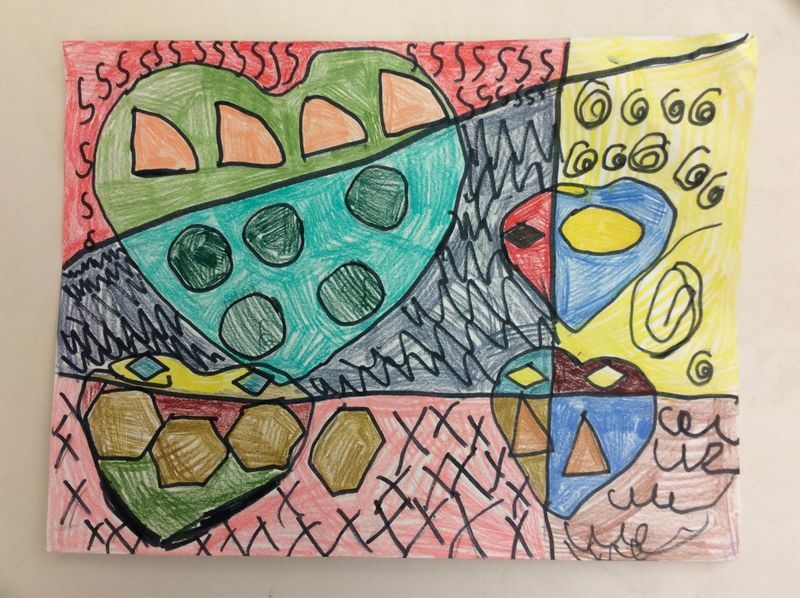 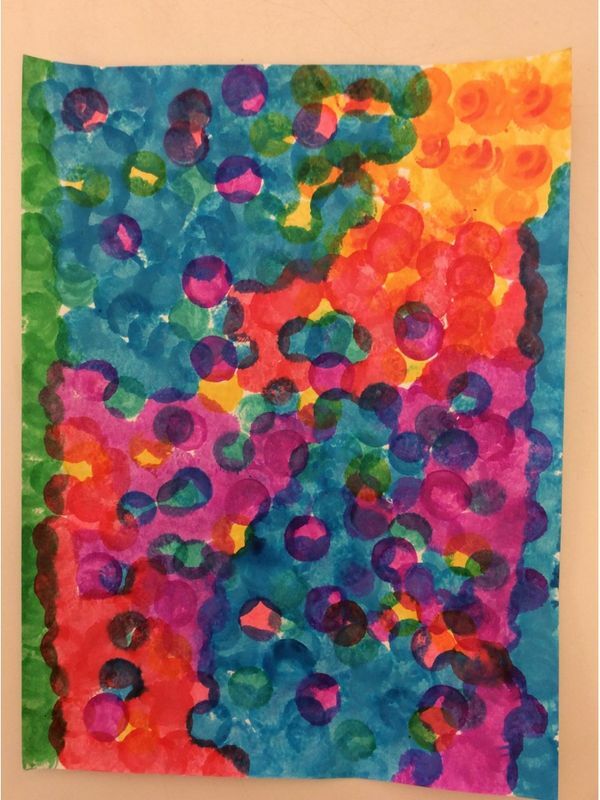 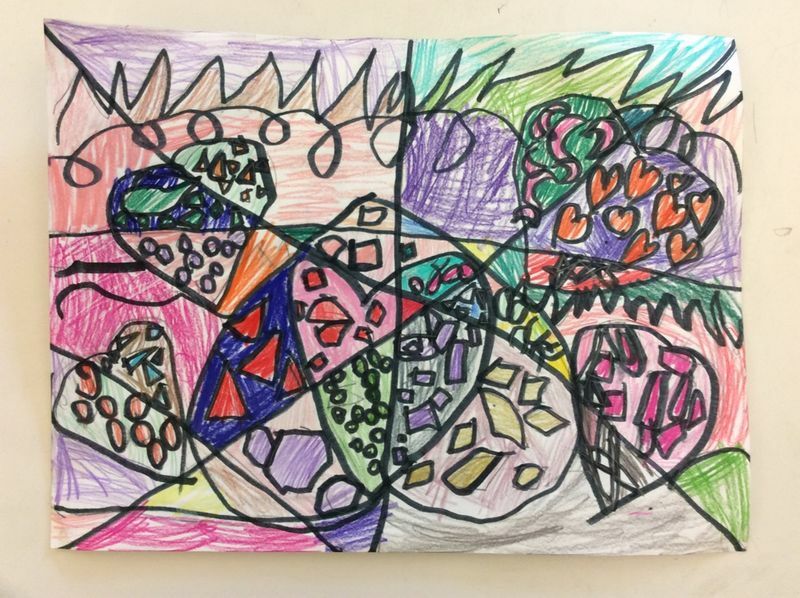 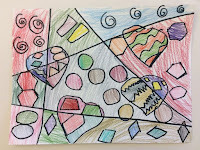 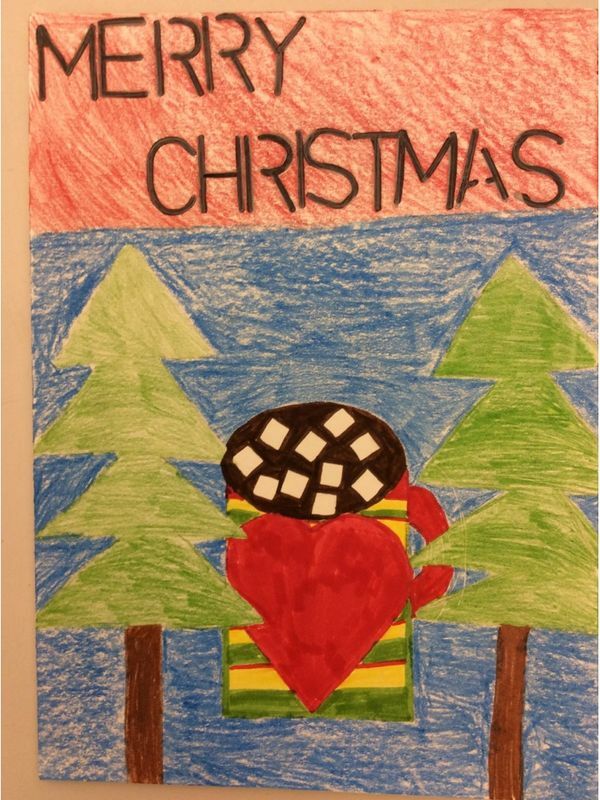 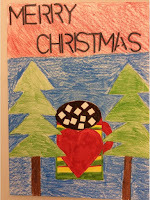 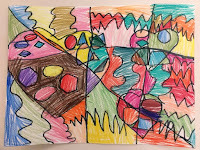 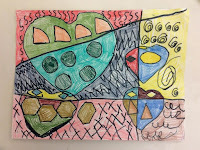 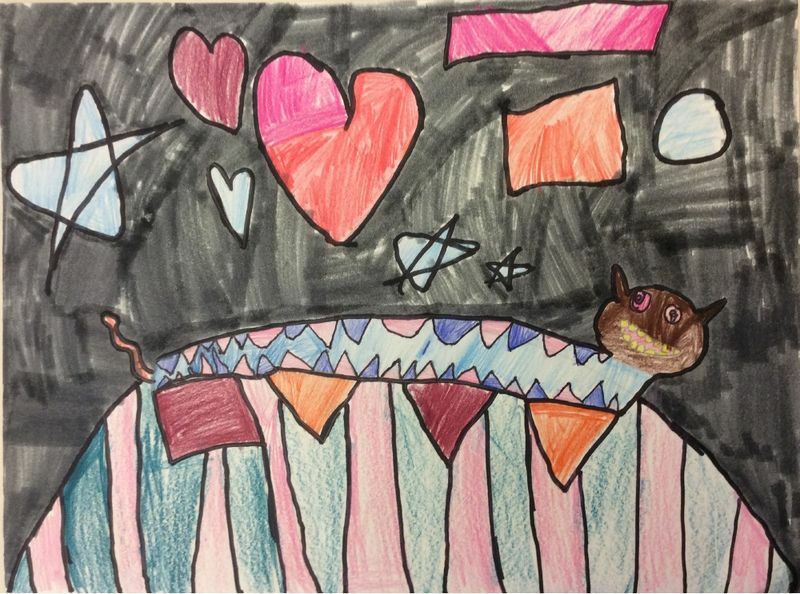 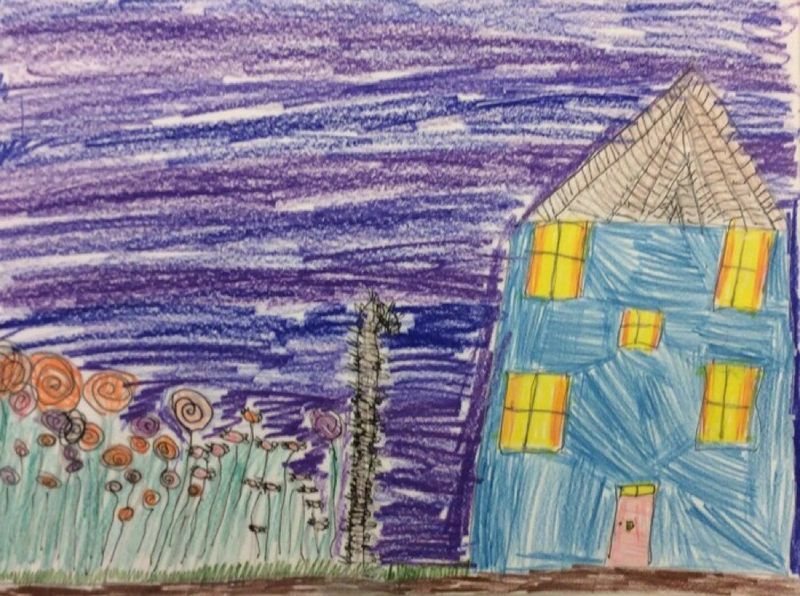 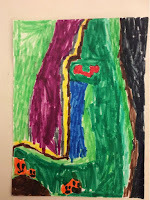 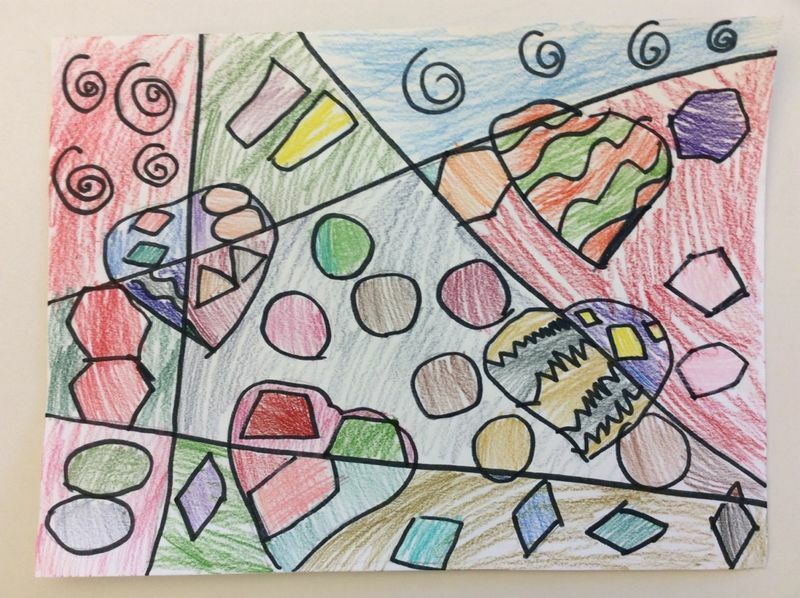 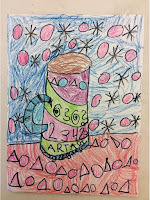 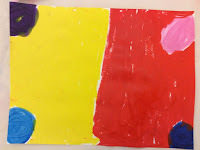 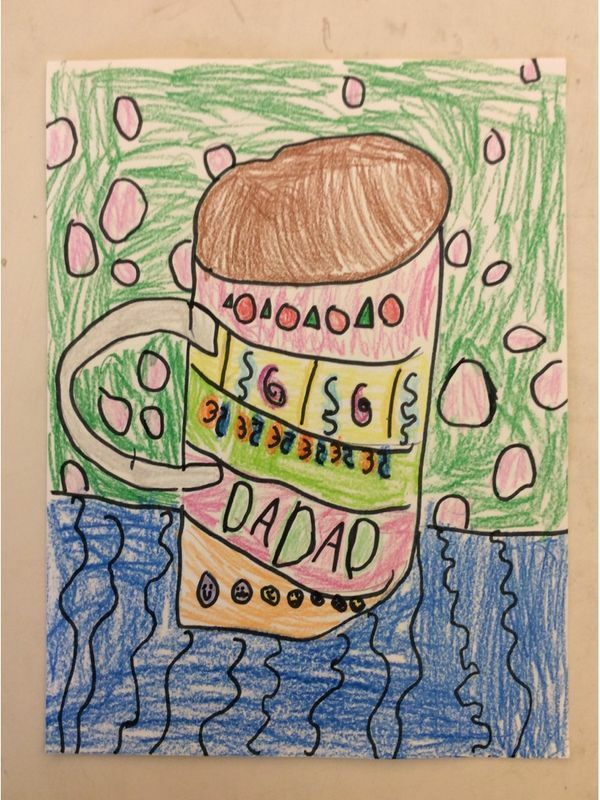 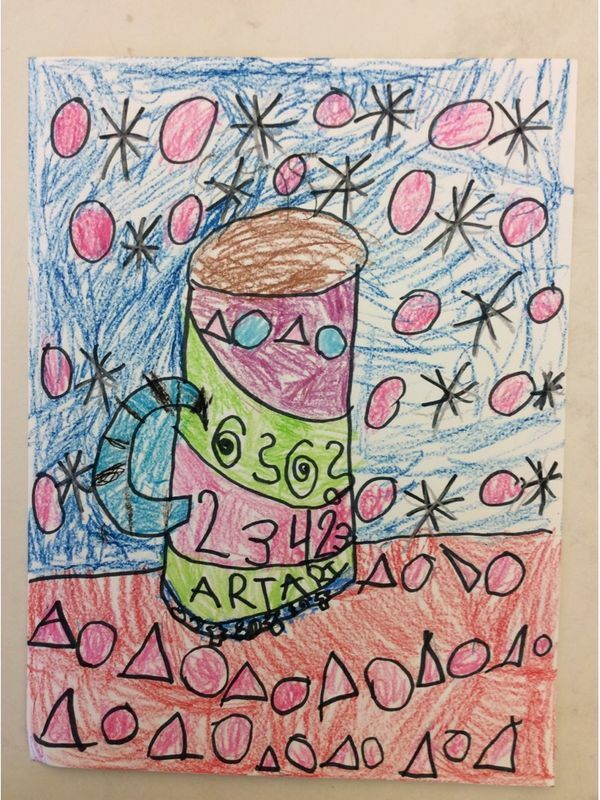 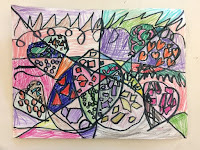 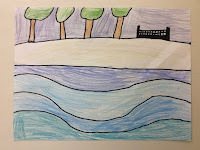 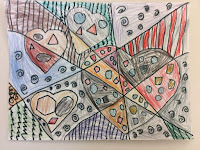 Students learned about the artist, Romero Britto, and created pattern drawings based on his artwork. 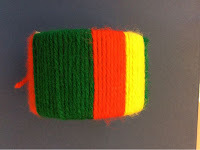 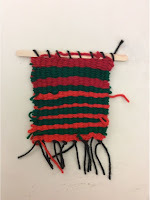 Students learned about Kente cloth and read The Spider Weaver. 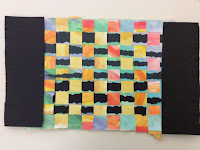 They then created paper weaving inspired by Kente cloth patterns. 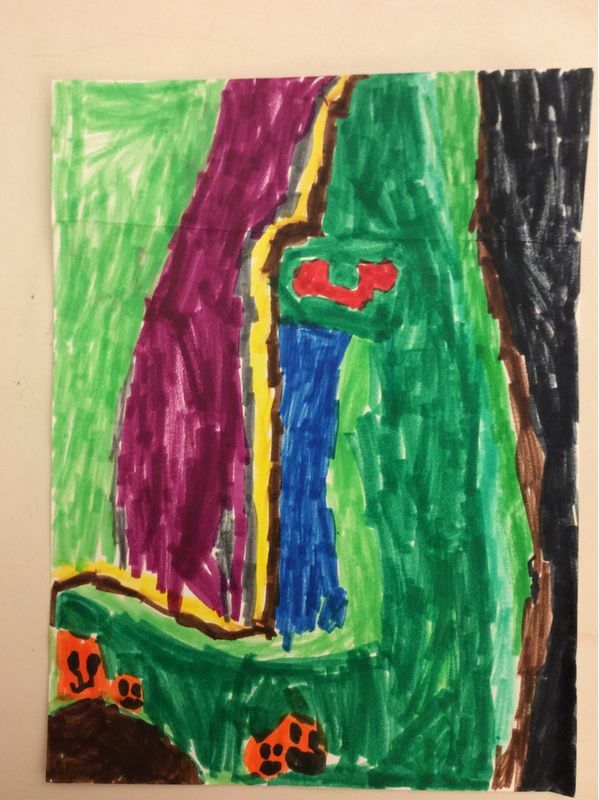 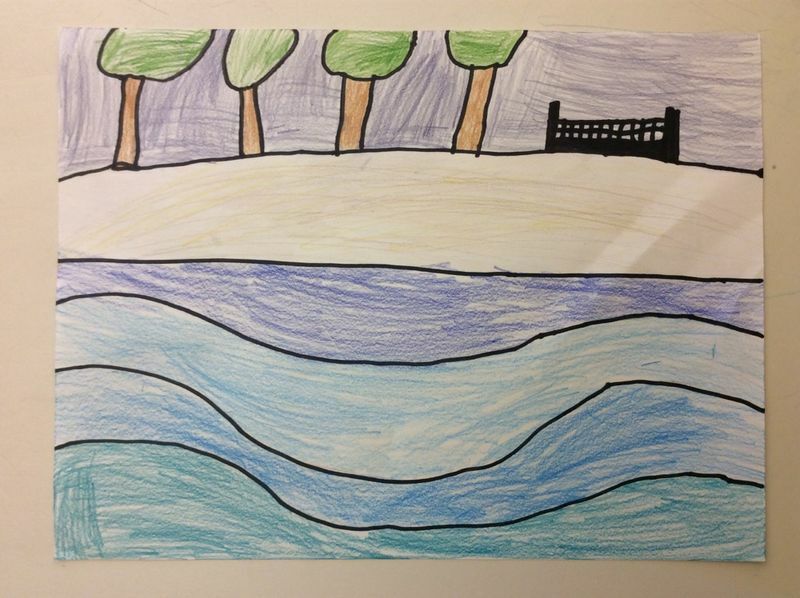 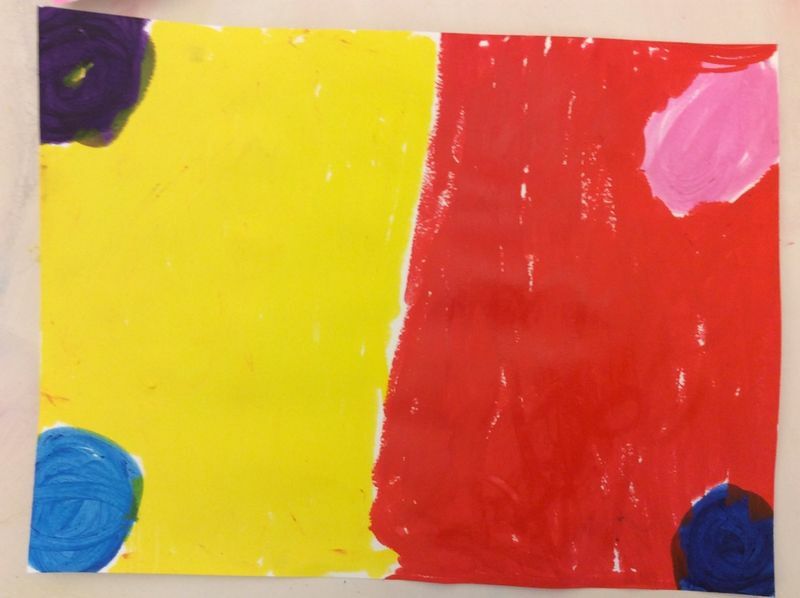 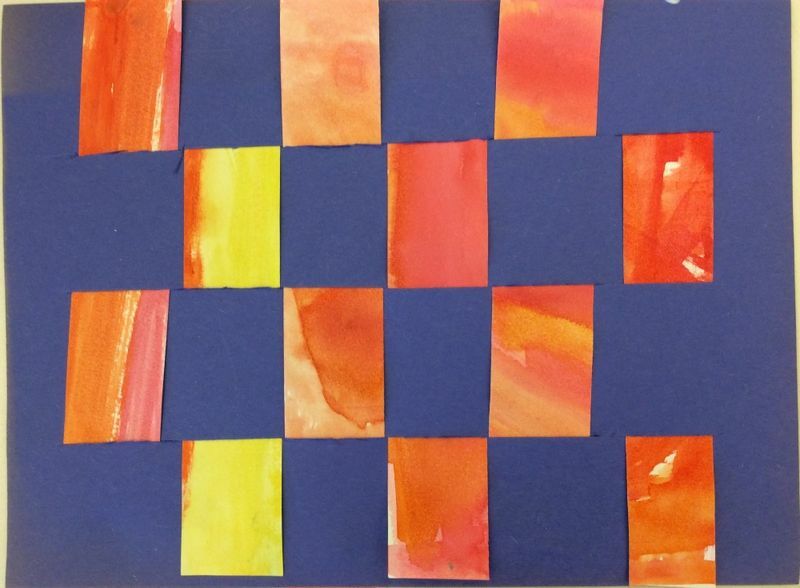 Also, students reviewed warm and cool colors. 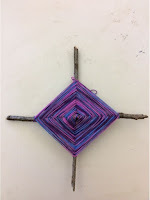 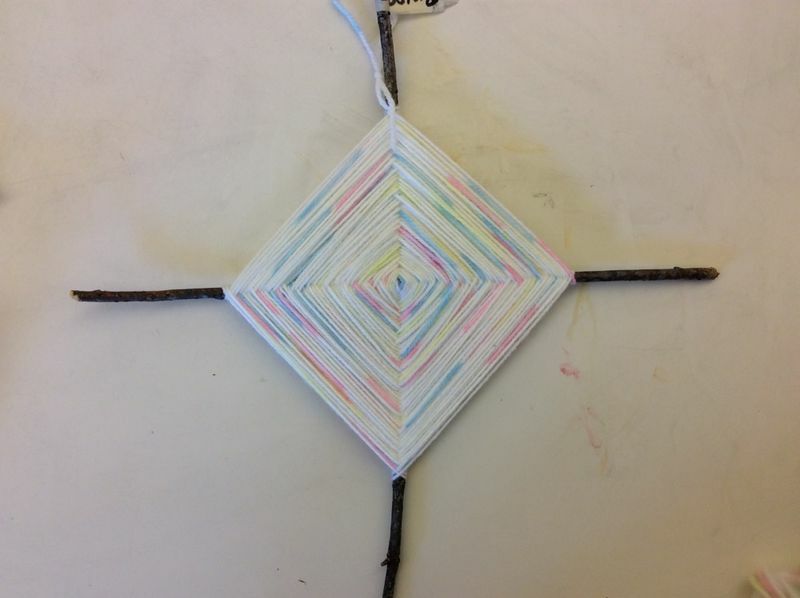 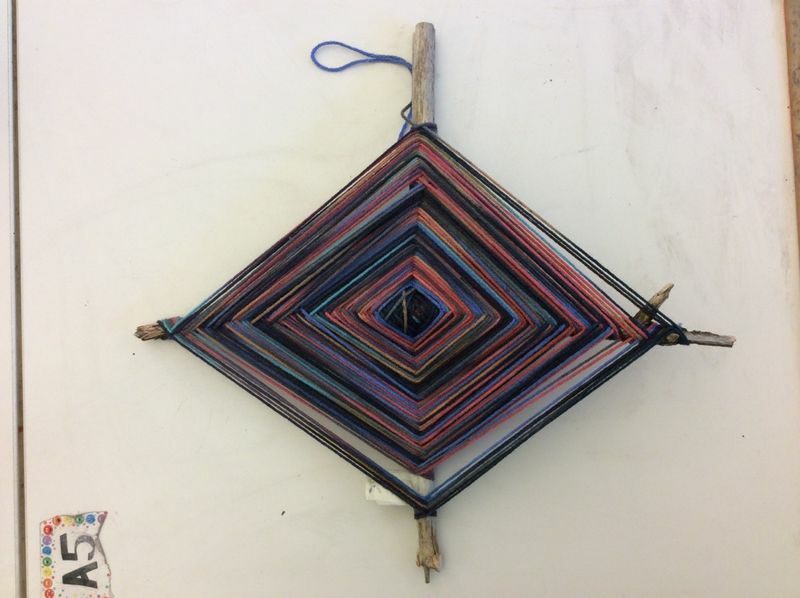 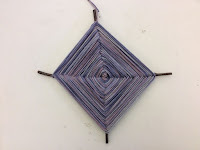 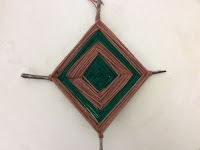 Students learned about Ojo de Dios and created their own. 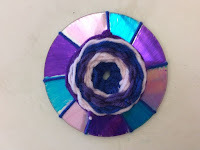 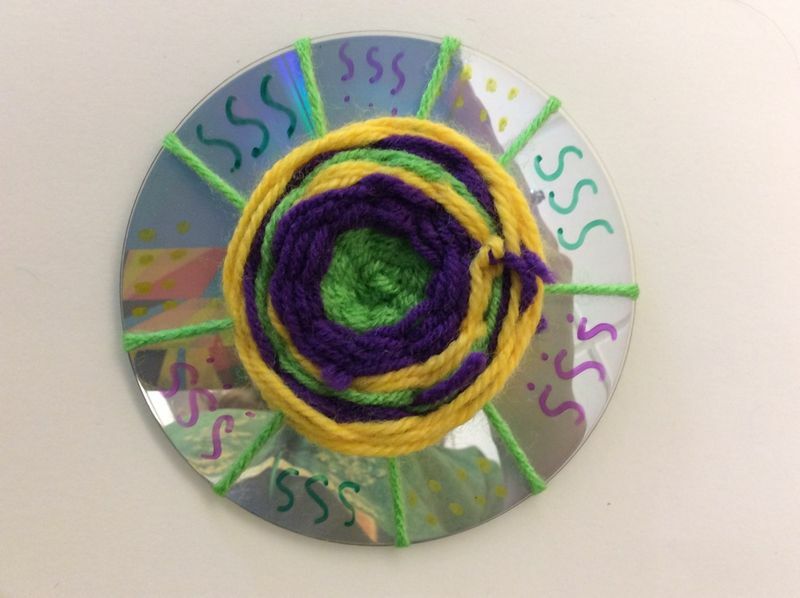 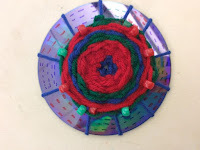 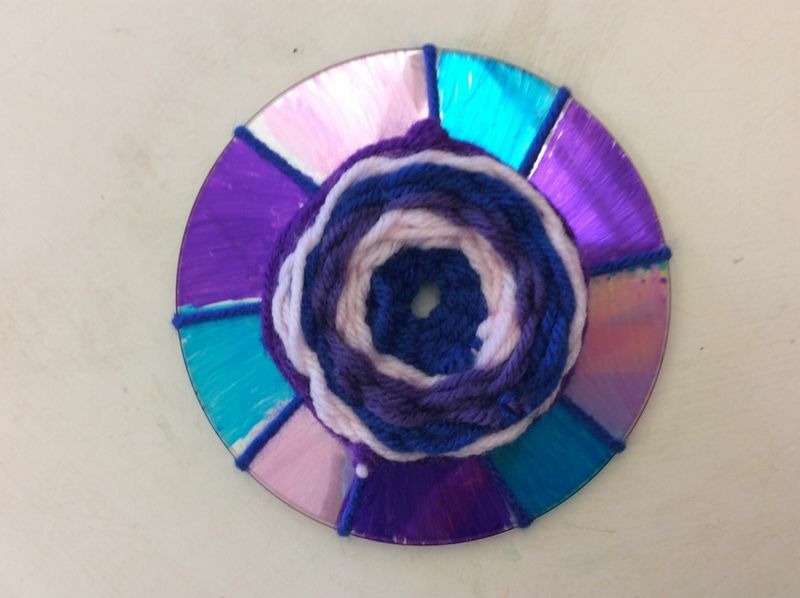 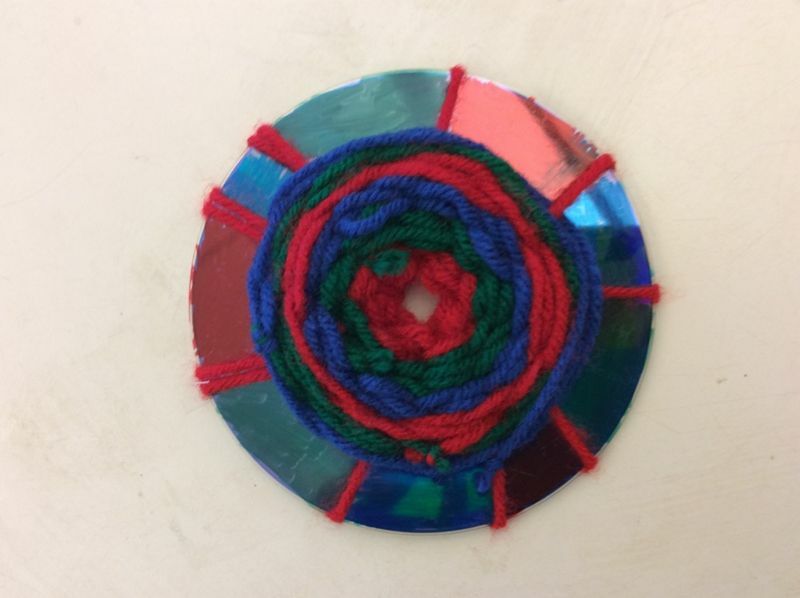 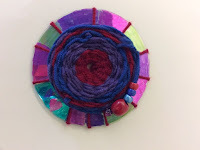 Students learned about radial weaving and created circular weavings on old CDs and DVDs. 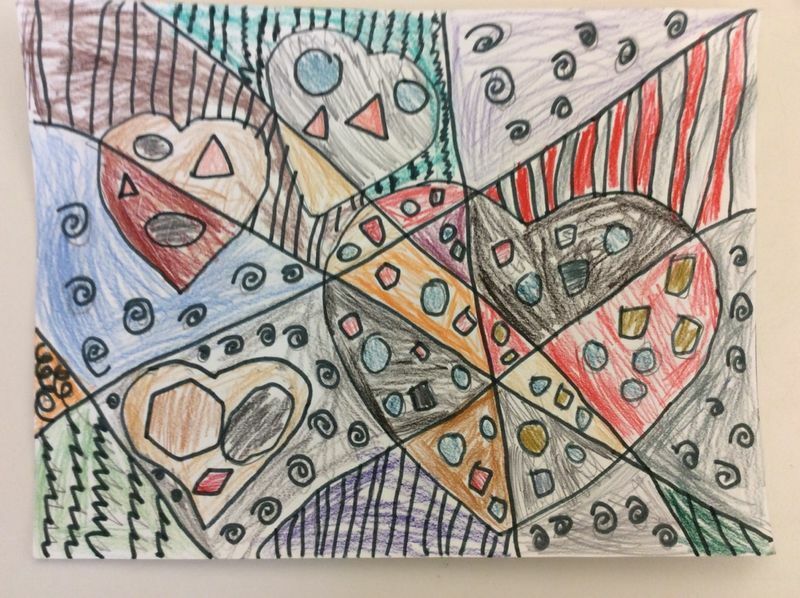 They added patterns to the edges using Sharpie. 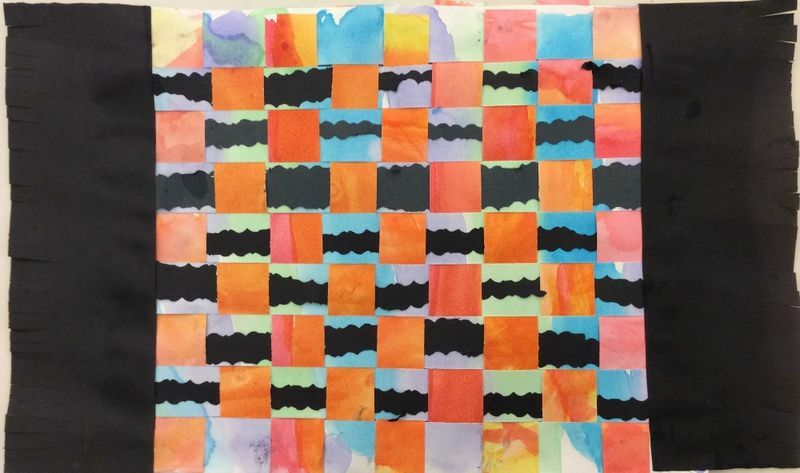 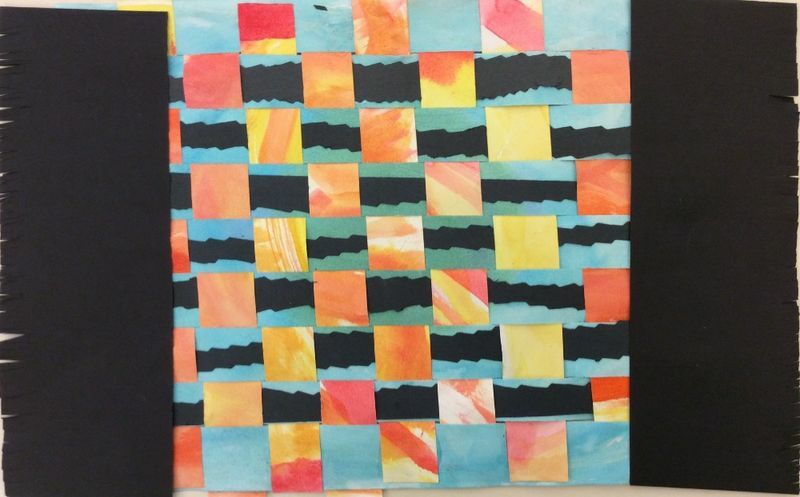 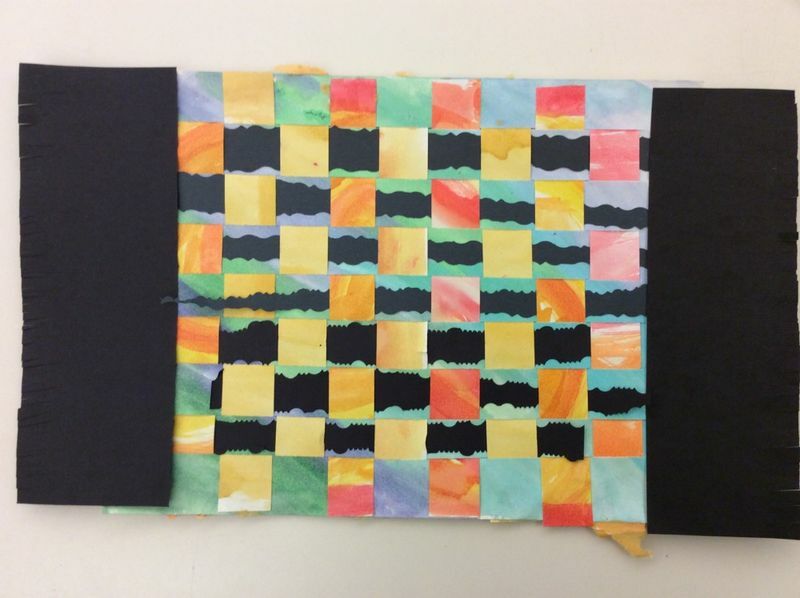 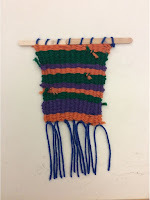 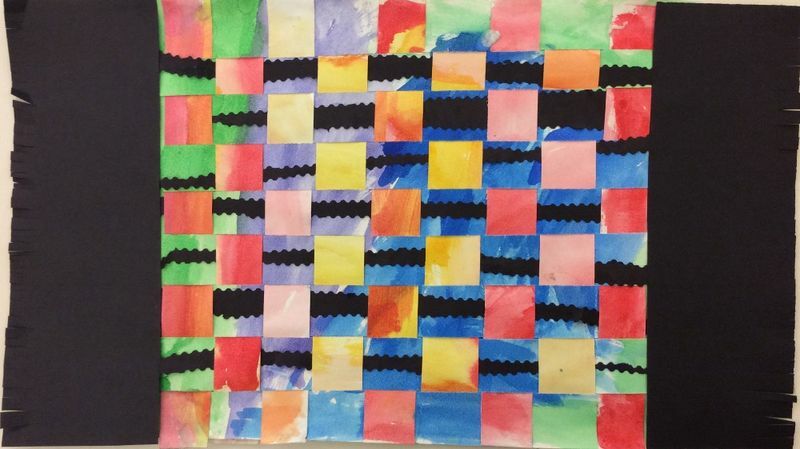 Students created small rectangular weavings using cardboard looms and inspired by Navajo Blanket weavings. 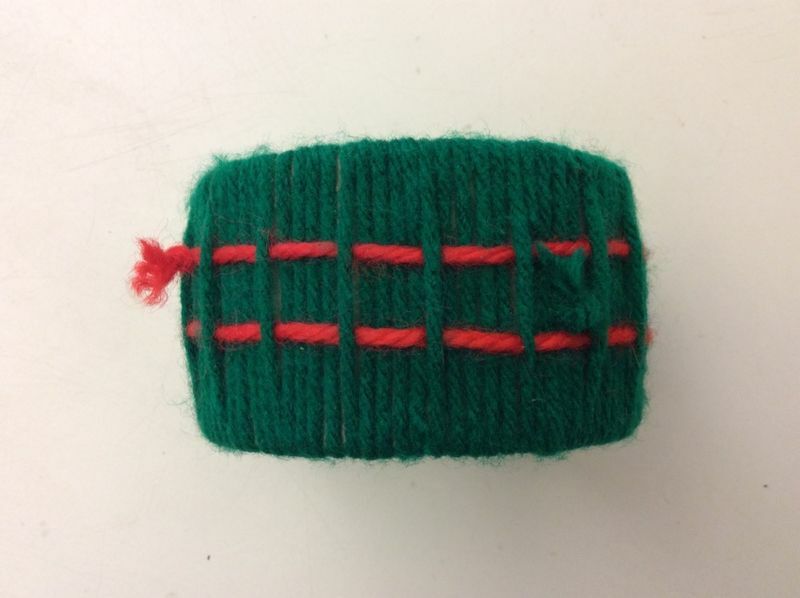 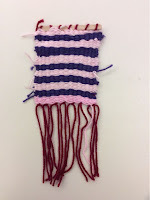 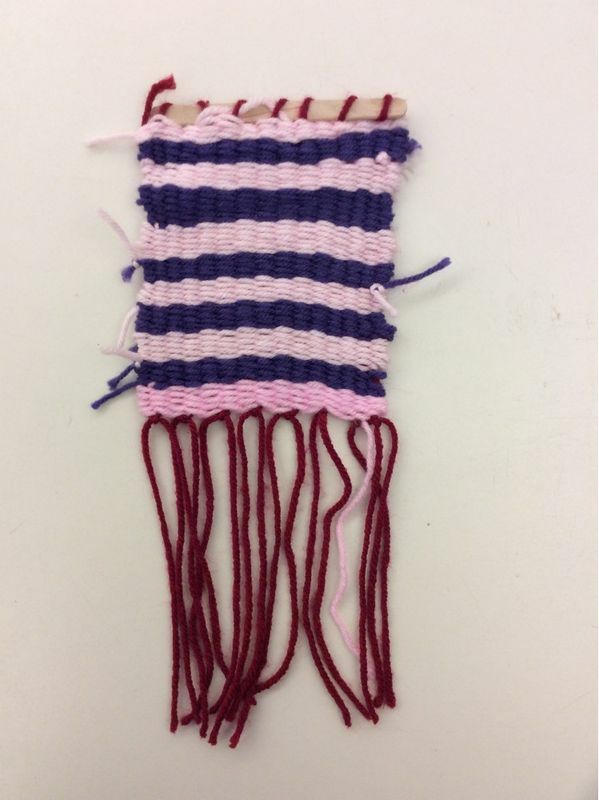 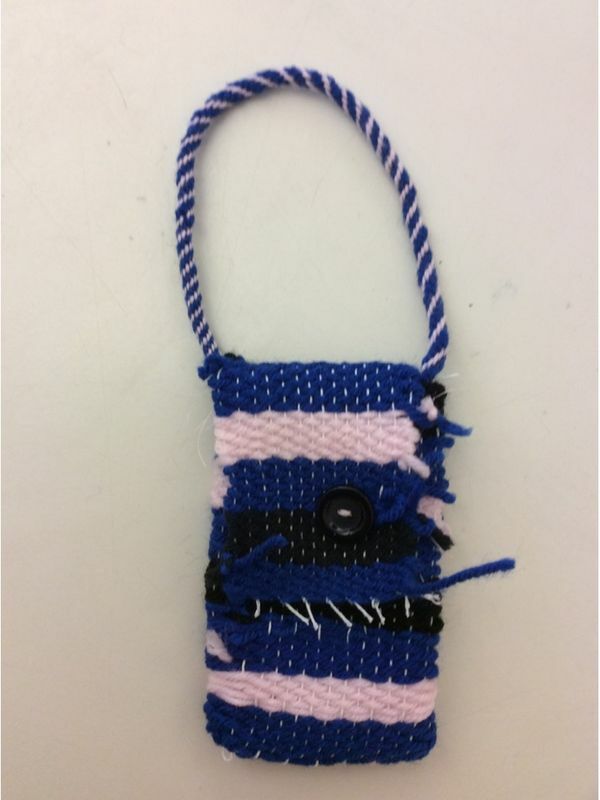 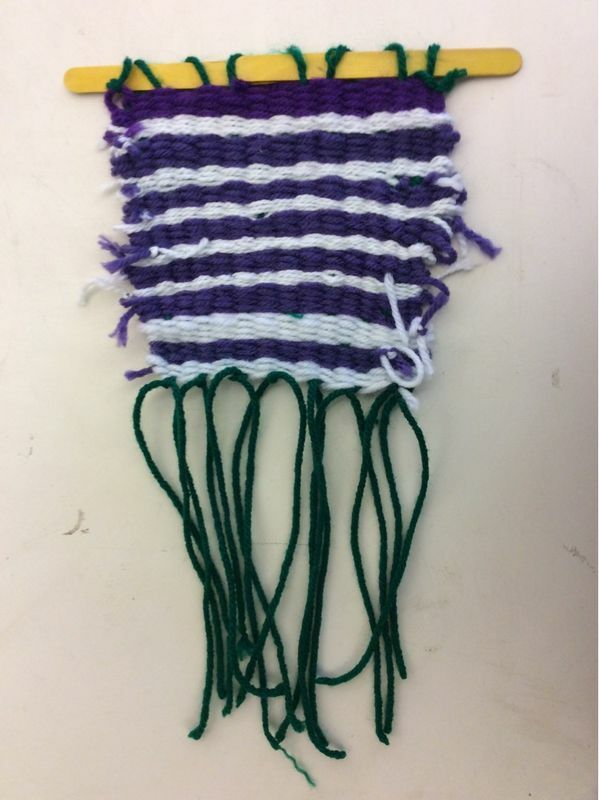 Students are currently working on pouch weaving, as well as finishing choice projects and foreshortening projects.